Having your own car is the ideal way to get around Nova Scotia. 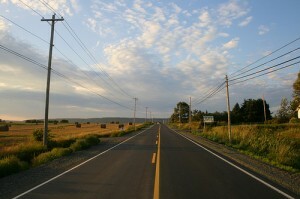 Travelling by car is one of the best ways to see Nova Scotia. With a car, you have complete freedom to explore the province, including many rural areas not served by public transport. You can rent a car in Nova Scotia, drive your own here from New Brunswick or bring your car on a ferry. However you get here, don’t forget to follow the road rules. In winter, give yourself lots of time to travel in case you’re delayed by bad weather and make sure you come with snow tires.